Lil Red is not a fan of any works. Lil Red is not a fan of any feeds. 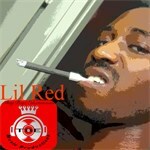 Lil Red has not written any reviews. Lil Red has no upcoming concerts on their calendar. Lil Red has not added any friends.